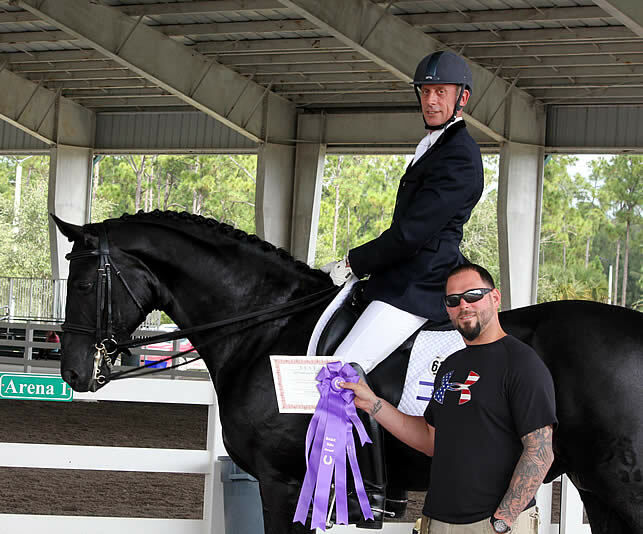 Wellington, FL (October 24, 2011) – International dressage rider Oded Shimoni, a trainer and coach to many of the top names in the dressage world, found himself in the winner’s circle during the Wellington Classic Dressage Autumn Challenge at the Jim Brandon Equestrian Center. Shimoni won the USEF Fourth Level Test 1 aboard Don Dueto and also rode away with the BEST Rider Award. The BEST Award, which stands for Balanced Equestrian Strength Training, will give Shimoni the chance to work with personal trainer Nick Tortora, a Wellington based trainer who focuses on equestrian strength training.